The Department of Educational Psychology (EPS) is seeking to fill an Assistant Clinical Professor, Counseling – School Counseling, Lead Faculty position at our Phoenix, North Valley campus beginning in August 2019. The position is a 9-month non-tenure-track faculty position with an opportunity for summer course teaching. This position is renewable, based upon effective performance, availability of funds, and program needs. 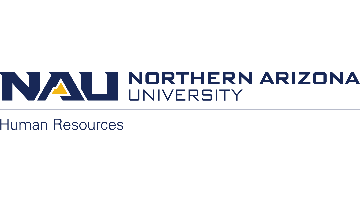 To apply for this position, please click on the "Apply" button at the end of the job description if viewing this position through the NAU HR website. Otherwise, to view the original post and to apply, proceed to nau.jobs, follow the 'Faculty and Administrator Openings' link, locate vacancy 604196, and then "Apply" at the bottom of the page. Please attach to your application: (1) a cover letter highlighting your interest in and particular qualifications for this position; (2) a curriculum vitae; (3) copies of transcripts (originals will be required of the successful applicant); (4) a statement of teaching philosophy; (5) sample syllabi and teaching evaluations from one or two college courses; (6) names and contact information for three references. Reference letters should be sent under separate cover to EPS Administrative Assistant Hope DeMello at, Hope.DeMello@nau.edu Identify each attachment with your last name, first name and the vacancy number. The committee may request additional information at a later date. If you need assistance completing your application there are instructions available on the HR website or in person in the Human Resources Department located in Building 91 on the NAU Campus - on the corner of Beaver and DuPont Streets. If you are an individual with a disability and need reasonable accommodation to participate in the hiring process please contact the Office of Equity and Access at: 928-523-3312/TDD - 928-523-1006 or PO Box 4083, Flagstaff AZ 86011.